In order to provide customers with a good experience when using your product, UX needs to be a consideration during development. 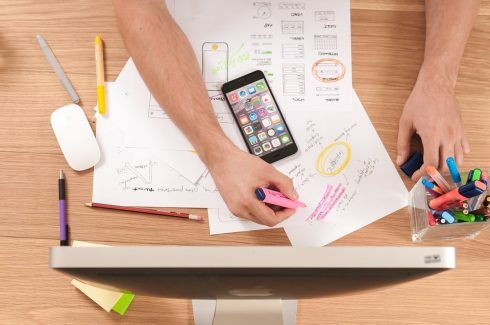 UX serves two important purposes: helping you understand your customer and translating that understanding into business success, said Josh Ulm, group vice president of UX Design, PaaS, and IaaS at Oracle. “It’s simple really, positive customer experiences frequently result in a positive bottom line,” he said. He compared the roles of designers, developers, and product managers as the three legs of a stool. Equal collaboration and clear communication between the roles is crucial, Ulm said. For example, the design team and product management may meet and produce a product concept before bringing engineering into the conversation, later realizing that their decisions have big technical implications. According to Ulm, the actual role of design within an organization depends on the company. Some companies have designers on another team, such as product, engineering, or marketing, while other organizations have consolidated design organizations that work as a centralized design service. The right solution for an organization depends on the size of the company and the employees themselves, Ulm explained. Embedded designers are able to collaborate across teams in small organizations, but as companies scale, maintaining the process and culture of design requires more structure in order to be effective. Without that structure, designers may end up feeling isolated, overpowered, or lack the necessary resources to do work, said Ulm. On the flip side, consolidating design resources into a central group might seem daunting to organizations that are used to having designers directly supporting developer requests. Company reorganization can affect employee morale, so big changes should be treated with caution. Ulm said that if design ends up becoming its own team, maintaining a close relationship with engineering will be crucial. Benefits for larger organizations that have a consolidated design team include “more efficient and aligned procedures, easier rebalancing of resources, design systems for consistency, unifying messaging for the brand and the customer, and support for a vibrant company culture of creativity,” said Ulm. In terms of staffing a design team, Ulm advises that you don’t use the same recruiting as you would for hiring developers. He said there are agencies that specializing in identifying design talent, with an eye for judging a portfolio.